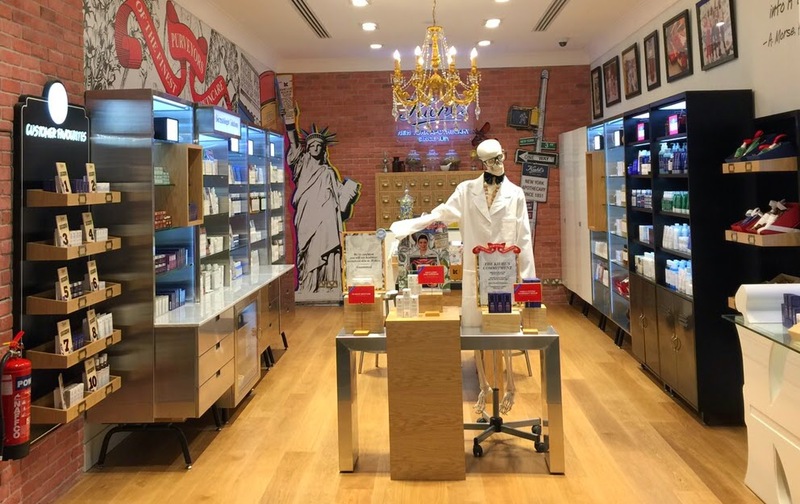 Kiehl's, the venerable New York-based purveyor of fine quality skin, hair and body care since 1851, is proud to announce that it has opened the doors of it's second stand alone boutique in the Middle East on the ground floor of Mercato Mall in Jumeirah. The store aims to target the Jumeirah community by bringing Kiehl's iconic range of beauty products closer to its customers, including the brand's renowned Dermatologist Solutions range that has become a dermatologist favorite, recommended by many dermatologists as powerful, yet gentle non-invasive skincare solutions that remedy everything from facial wrinkles to dark spots. As with every Kiehl's boutique, the brand's favorite ambassador - Mr. Bones, who has become a part of the brand's DNA, welcomes customers to find a remedy for their every need.The store also offers a dedicated team of specialists who are there to satisfy your every skin and haircare need and who provide a superior level of customer satisfaction that has become ubiquitous with the Kiehl's name.